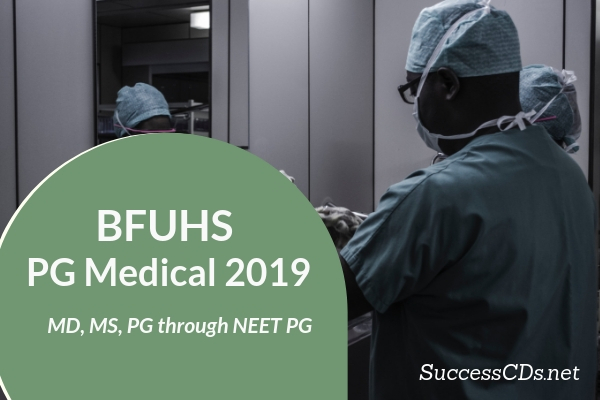 BFUHS PG Medical Admission 2019 - Baba Farid University of Health Sciences (BFUHS) offers admission to MD/MS/PG Diploma and MDS Courses on the basis of NEET PG 2019 this year. In the Govt. Institutions, 50% of the total seats shall be filled by the Government of India at All India level, and remaining 50% seats shall be filled at the state level as state Quota seats.